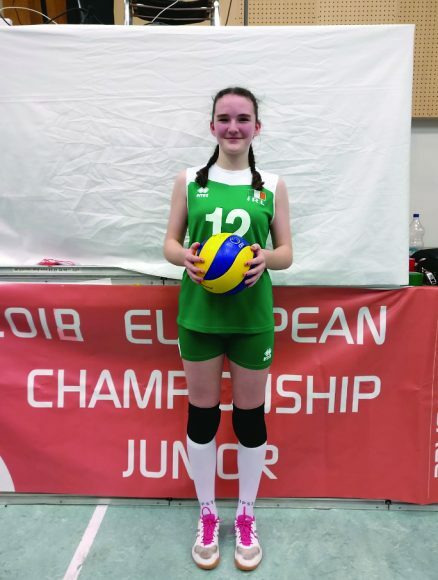 THIRTEEN-YEAR-OLD Rockford Manor student Laura Connelly is relatively new to volleyball, but having first taken to the court just over a year ago, she’s already part of the Irish national under-16 set up. Connelly’s fast rise comes through a steadfast dedication to the sport with her school Rockford Manor aiding that with their strong programme, running the sport alongside basketball. Connelly is finding her feet outside the school, too, turning out for training with Dalkey Devils, often at several different age group sessions a week. Passion has taken hold fast. “I travelled to the Faroe Islands with the Under-16s late last year, which was an amazing experience” Connelly recalls of competing with the recently-formed Ireland age-group squad. The Faroe Islands hosted a pre-qualifying competition for smaller nations. At the tournament, Ireland Under-16s grabbed their first ever international win against a vastly more experienced Iceland side. Connelly is the only Dublin-based representative in the Under-16 panel, and spends much of her time traveling the country to training sessions in places like Ennis, or Naas. 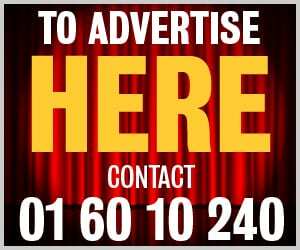 She has also been part of the Rockford Manor side that has progressed to an increasingly competitive level in national schools competitions, having reached two All Ireland finals in recent years. “I played football and basketball before and that helped at the start,” Connelly tells us of her progress “Especially with things like staying calm on the court. I play in the middle, which means I spend a lot of my time hitting and blocking spikes, jumping at the net. “Training with Ireland is different. It’s much more intense, and you become very close to the people you play with. It’s a lot of work, and we’re very focused on improving. “We try to train as much as possible. I spend my time between different clubs and age groups so I can practise, as there aren’t many volleyball clubs in Ireland. “So far I’ve been to the Faroe Islands and Italy for a training camp, as well as around the country. I started because I wanted to try something new. There’s nothing planned for the new season for definite just yet, but there are a few tournaments abroad that we might travel to.